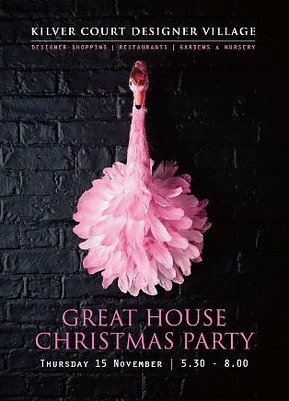 Eat, drink and make merry at this year's Great House Christmas Party! On Thursday 15 November, we hope to dazzle and delight you with a wonderful selection of hand picked decorations, gifts and delicious Christmas food. Every year, the Great House celebrates the festive season by combining shopping and entertainment to create a entirely unique shopping experience. It's the perfect thing to get you in the festive spirit - a magical environment where we hope you'll find gifts galore for your loved ones as well as plenty to self indulge with! You could start with gin tasting and work your way to the magical Christmas room full of jaw dropping decs.